Disasters hit our most vulnerable communities the hardest. 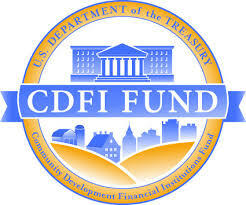 After Katrina, community development organizations organizations - and the mission-driven service providers they support - played an important role in rebuilding and restrengthening communities that were already struggling with poverty and unemployment before the storm. Many of the same organizations, including the Houston Food Bank and North Dallas Food Bank, are on the ground in Texas providing direct assistance to the families and communities affected by the unprecedented flooding and destruction of Hurricane Harvey and Irma. We hope these stories provide hope for survivors and a template for policymakers looking to support rebuilding efforts. Ten years ago, Hurricane Katrina devastated many New Orleans, Alabama, and Mississippi communities that were already reeling from decades of poverty, unemployment, and economic stagnation. In the wake of Katrina, Congress passed The Gulf Opportunity Zone (GO Zone) Act of 2005, P.L. 109-135, which provided tax relief to The GO Zone, comprised of those counties or parishes that were deemed eligible by FEMA for “individual assistance” or “individual and public” assistance in after the storm. The GO ZONE encompasses 91 counties or parishes, including: eleven counties in Alabama; 31 parishes in Louisiana; and 49 counties in Mississippi. In light of both the devastation of Katrina and the extensive poverty that pre-dated the storm, the legislation included a temporary $1 billion expansion of the federal government's largest community revitalization initiative: the New Markets Tax Credit. NMTC allocation was awarded to CDEs targeting the GOZONE in 2 competitive rounds: 2006 and 2007, generating an estimated $2 billion total economic activity and 23,000 jobs in high poverty disaster affected areas of the gulf coast. Disaster recovery is difficult work, and the work continues today, as many have documented in the media over the past week. Instead of reinventing the wheel and providing billions to new or untested programs, Congress chose to enact an emergency expansion of the NMTC, providing resources to an existing network of community development organizations (Community Development Entities or CDEs) with deep ties to the GOZONE region and the ability to deploy capital quickly to businesses, community facilities, and economic revitalization projects in low income areas. While the emergency allocation was only temporary, the work continues today in the GO ZONE as CDEs continue to target investment to some of the hardest hit areas of the Gulf Coast. Below are some of the success stories in the ongoing effort to revitalize the GO ZONE. 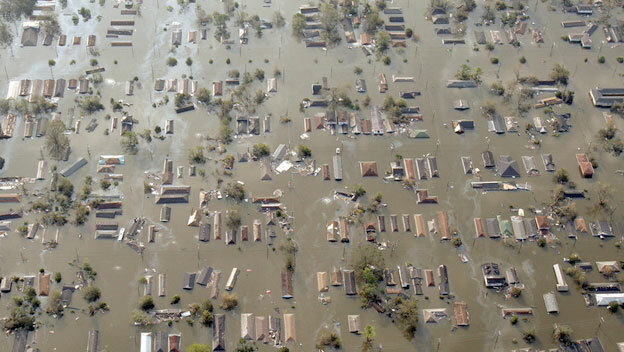 Hurricane Katrina destroyed or damaged tens of thousands of homes. After the hurricane struck, Habitat for Humanity went into high gear, building affordable single family housing for victims of the storm. Local habitat affiliates, along with tens of thousands of volunteers, worked tirelessly to build and repair thousands of houses. The New Markets Tax Credit helped accelerate Habitat's work in the gulf coast, providing tens of millions in funding for builds. 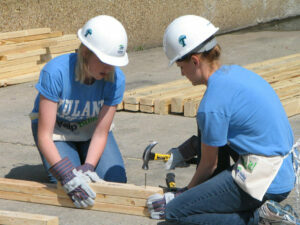 Learn more from Habitat for Humanity of the Mississippi Gulf Coast. 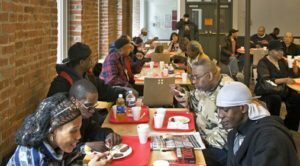 Greenline Ventures saw an opportunity to use the NMTC's flexibility to meet scattered, single-family housing needs and put people back to work. Greenline provided $700,000 in NMTC financing to a small, local developer to support 13 new affordable single-family houses in Louisiana. Those efforts were scaled and replicated throughout the state, and the result was 450 new or renovated homes. 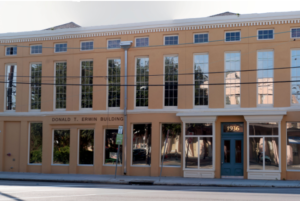 In March 2011, St. Thomas Community Health Center (STCHC) began the $8.0 million acquisition, rehabilitation and renovation of a blighted, 19th century building to expand its health care services and operations. STCHC is a 25-year-old, non-profit, comprehensive, section 330-funded Federally Qualified Health Center located in a highly distressed low-income community (LIC) in New Orleans, LA. STCHC provides high quality and accessible health care services to the uninsured, underinsured and the working poor in Orleans and surrounding Parishes (counties) for little to no cost. Since Hurricane Katrina and the closure of five major hospitals in Orleans Parish, STCHC had seen a 34% increase in its patient user client base. To better meet the growing needs of its target market, STCHC desperately needed to expand beyond its existing inefficient and less than desirable facilities. Both facilities, located within steps of each other, were originally built in the 1800s and had undergone piecemeal renovations but neither was construed with the intent of serving as a health care facility. The new facility, located in a National Register Historic District, was renovated and rehabbed to serve the growing needs of STCHC and the community. STCHC currently served 21,500 patients annually but projected a 114% increase in patient visits to over 45,000 patients annually over the next 7 years. The new 10,906 square foot facility increased their usable square footage by 85% and was designed as a space and energy efficient, state-of-the-art ambulatory care facility providing STCHC flexibility and ease while significantly enhancing its health care programs and services. AMCREF Community Capital (AMCREF) received $72 million in allocation for disaster affected communities. 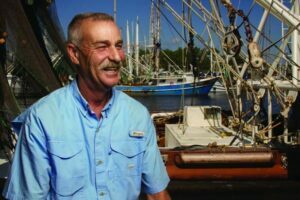 For example, the AMCREF financed the Gulf Coast Agricultural and Seafood co-op. Located in a highly distressed low income community in Bayou LaBatre, Alabama, the Co-Op was formed by 23 local shrimp and crab companies having difficulty disposing of their seafood processing waste after their previous facility was destroyed by Hurricane Katrina. Capital One, AMCREF, and Dudley Ventures, used the NMTC to relocate and rebuild the Holy Cross School, a 127 year-old non-Archdiocesan parochial school whose former facilities in New Orleans’ Lower 9th Ward were severely damaged by Hurricane Katrina. Five Gulf Coast Habitat for Humanity affiliates built nearly 300 houses in communities affected by Hurricane Katrina with the help of the New Markets Tax Credit. U.S. Bancorp Community Development Corporation, Habitat for Humanity International CDE, and Smith NMTC partnered to make it happen. National New Markets Fund and Capital One partner to finance 85+ Habitat for Humanity homes in Jackson, MS. Like many parts of Metro Jackson and Mississippi's Gulf Coast region, the area where the new homes will be built was impacted severely by Hurricane Camille in 1969 and again by Hurricane Katrina in 2005. As a result, it suffered from inadequate and unsafe housing.